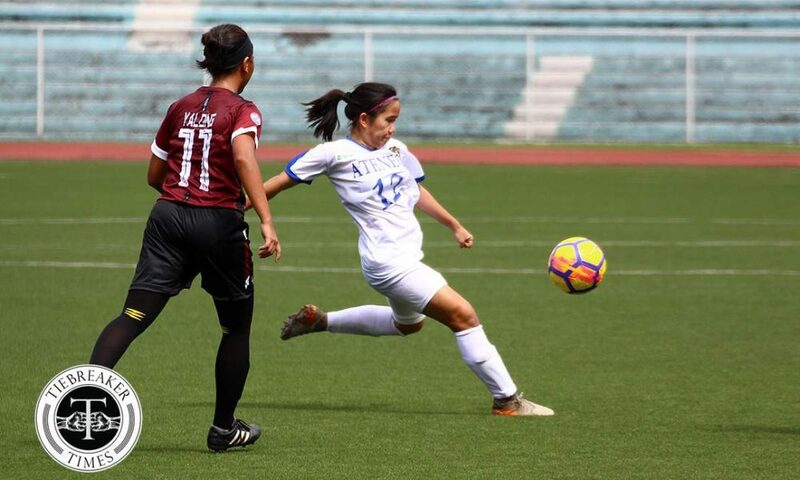 In a clash between two schools that are opening new chapters, the Ateneo de Manila University Lady Eagles outclassed the University of the Philippines Lady Maroons, 3-1, to kickstart their UAAP Season 80 Women’s Football Tournament campaign with a win. 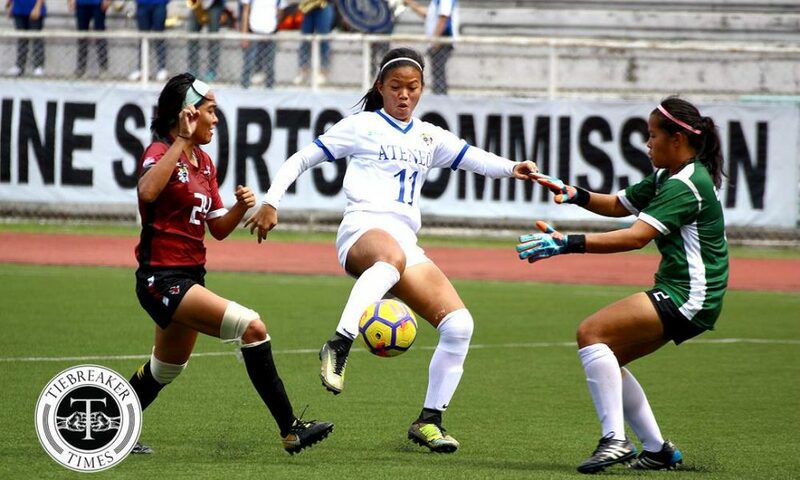 Ateneo showed no signs of heartbreak from the graduation of star forward Camille Rodriguez, as the Lady Eagles raced towards a 2-0 cushion at the end of the first period. 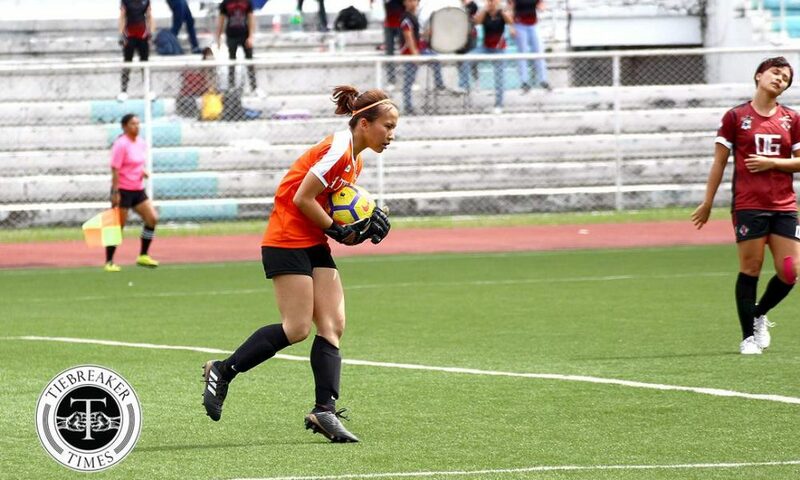 Defender Nichole Calimbo struck a sweet free kick which UP goalie Vanessa Estrada failed to grasp in the 12th minute. 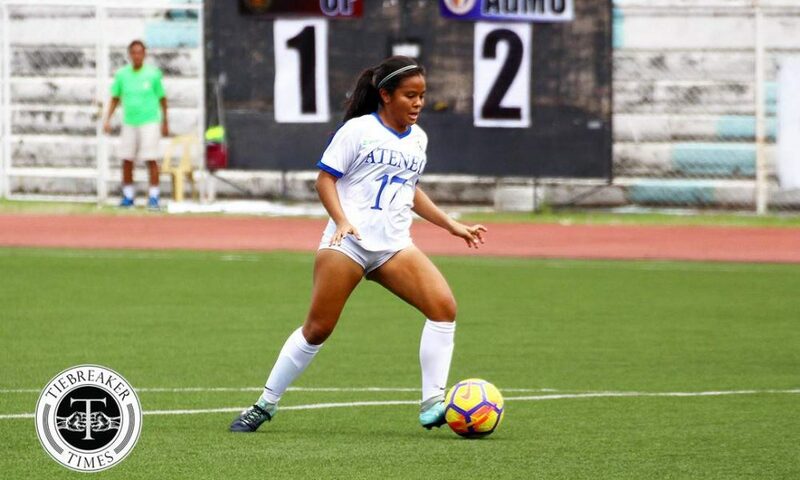 Calimbo’s goal was a well-deserved break for Ateneo, as the Katipunan school had seamlessly moved from defense to attack at will. 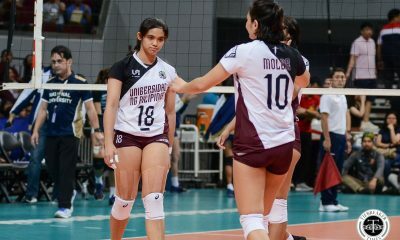 In stark contrast, UP struggled to get a footing in the game, as the players looked lost. 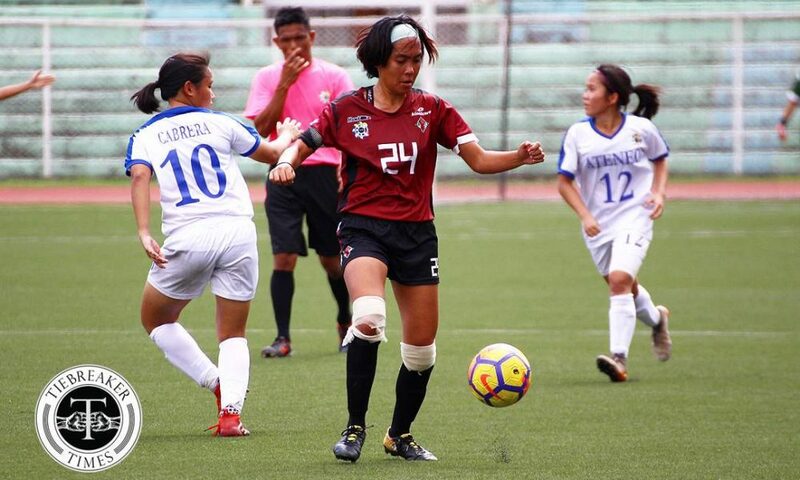 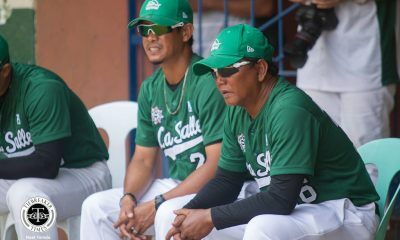 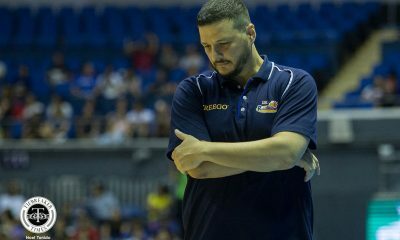 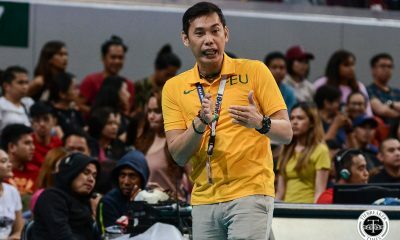 The Lady Maroons themselves are in transition, as former head coach Anto Gonzales is reportedly now the team’s consultant, while former Fighting Maroon Stephen Permanes is now the new mentor. 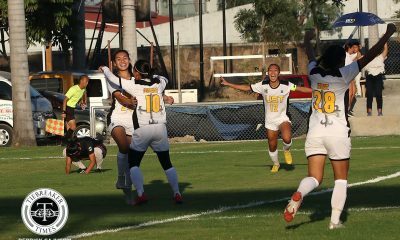 The gulf in class between both teams was evident in the second goal. 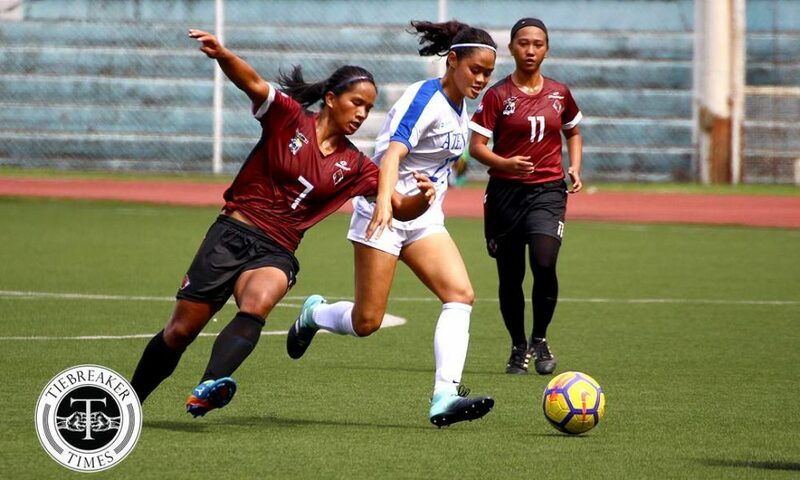 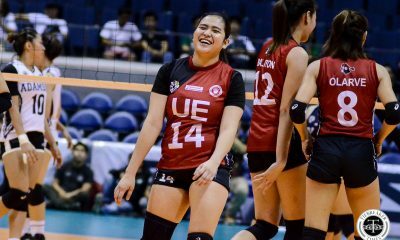 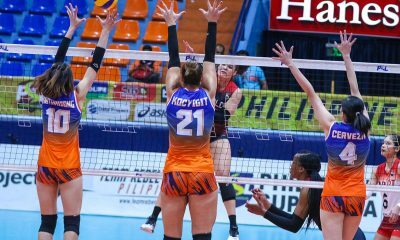 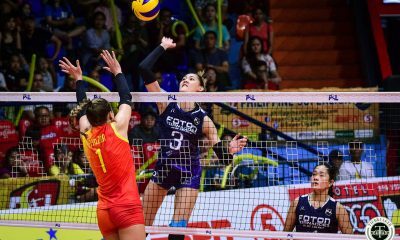 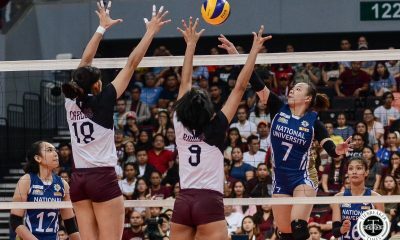 Lady Eagles forward Martie Bautista powered her way past the Lady Maroons’ defense and shot past Estrada to double Ateneo’s edge in the 24th minute. 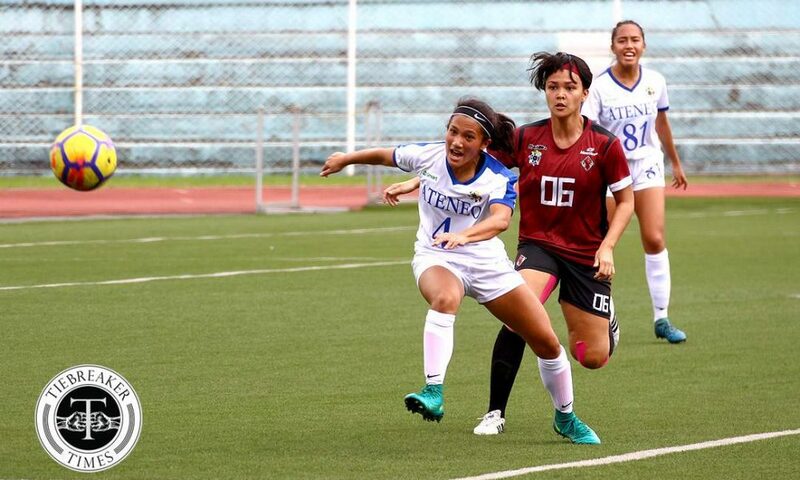 Ateneo went into the break with a two-goal advantage and looked set to add to their lead upon the game’s resumption. 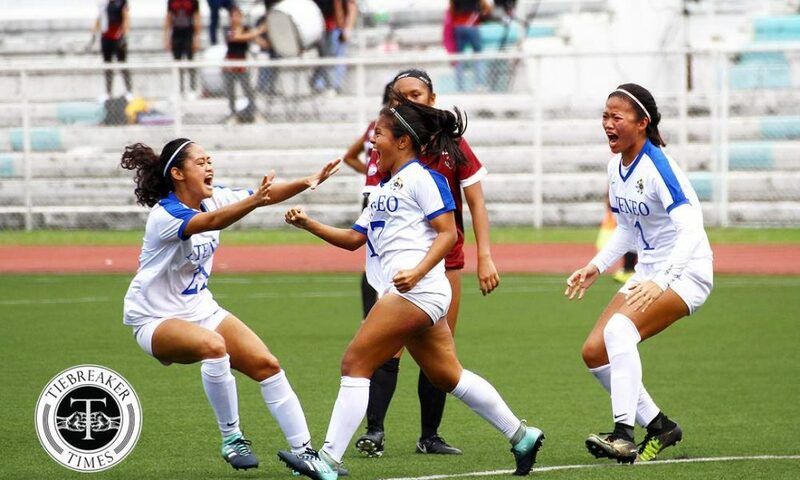 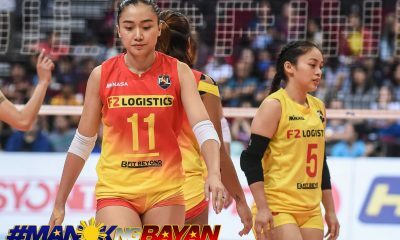 The Lady Eagles relentlessly bombarded State U’s box as Tessa Bernardo, Pam Diaz, Nona Amoncio all had their chances at goal. 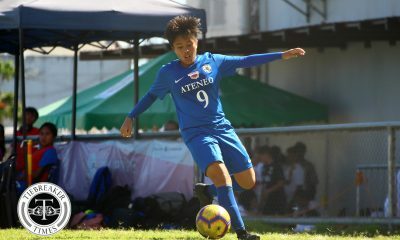 Bautista came the closest as her header hit the crossbar. 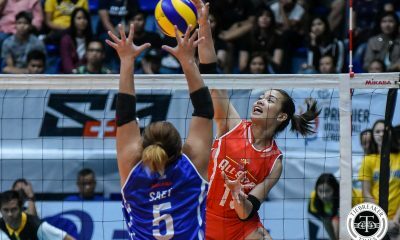 If Ateneo’s attack was syncing well, then their defense held UP at bay. 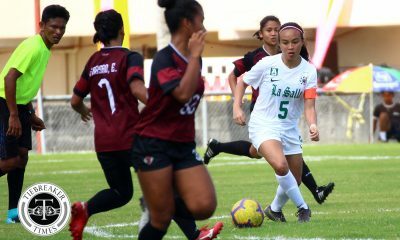 It took a wonder strike from UP’s Malmis in the 79th minute to give the Lady Maroons a lifeline. 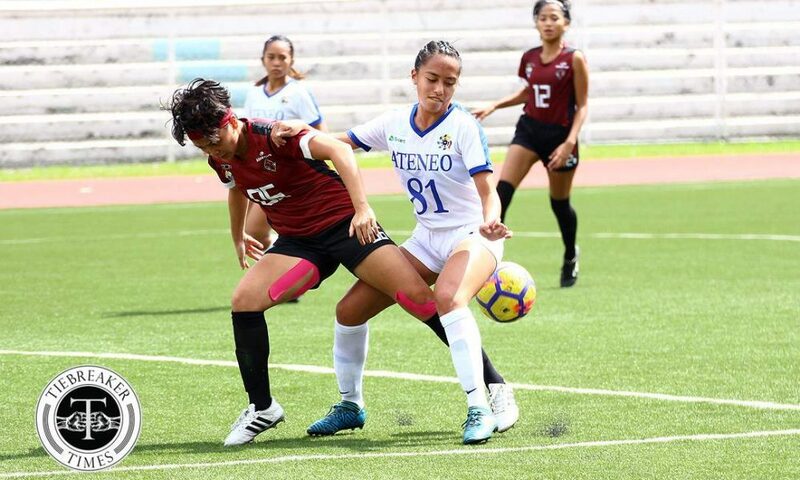 Any chance of a UP comeback, however, was swiftly denied when Bernardo finally got on the scoresheet in the 80th minute, when she latched on a through-ball perfectly and calmly put the ball at the back of the net. 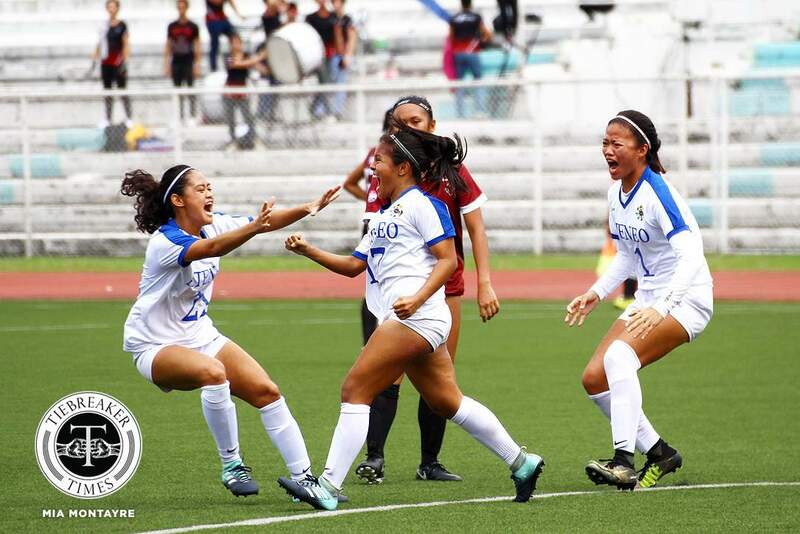 Come the final whistle, Ateneo ended up 3-1 winners over UP in what was a great all-around performance from the Lady Eagles. 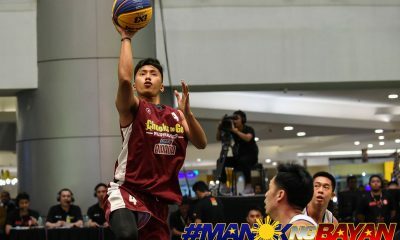 “Yung mga last 10 minutes na nakascore ang UP, hindi sila nag give up. 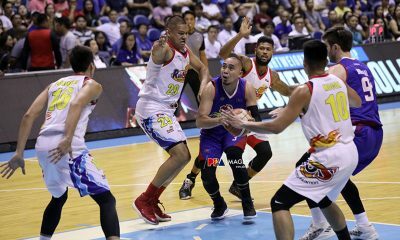 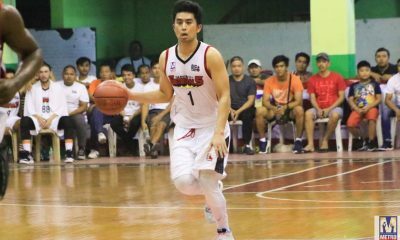 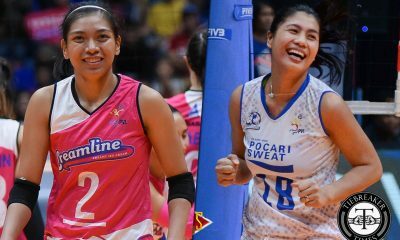 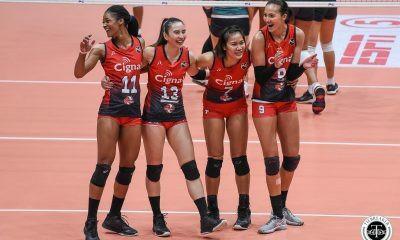 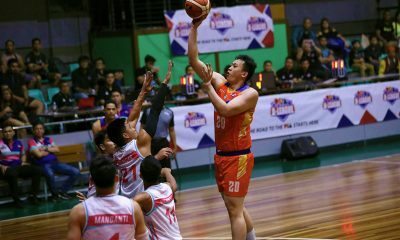 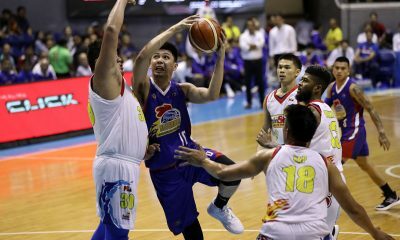 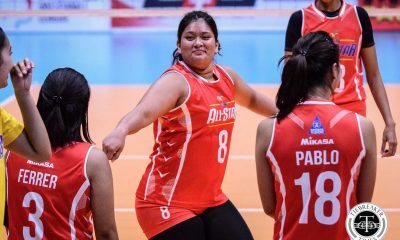 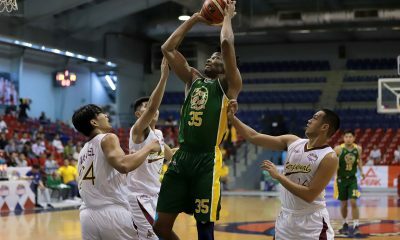 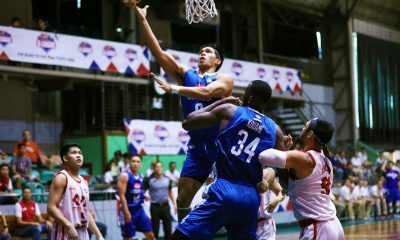 Nandun pa rin yung fight talaga na ginagawa nila,” added Merida. 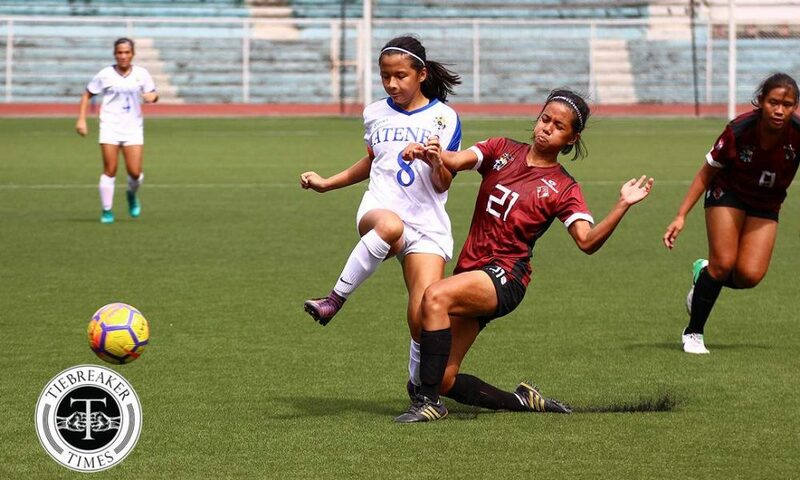 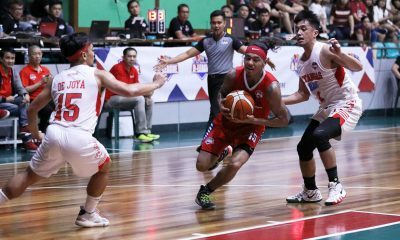 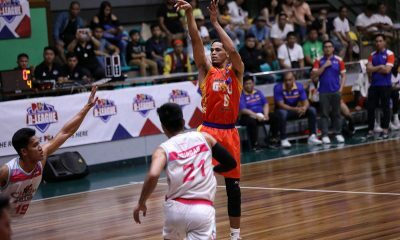 Both schools’ next games will be on February 10 at Rizal Memorial. 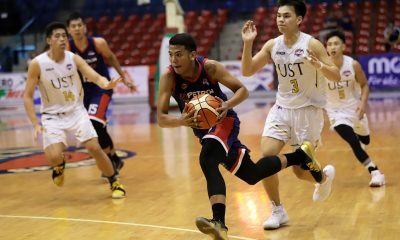 Ateneo will look to continue their good start against the University of Santo Tomas at 9:00 AM, while State U shall face the De La Salle University afterwards at 3:00 PM.